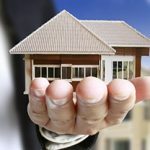 Considered How to Get Property Development Finance? How Too Choose Your Exterior Elevation Colours To Ensure Energy Efficient ! You Need to Understand the MARKET your Playing in! Are you Overpaying for Your Property Development sites?